It’s a fairly typical situation in 21st century America—in the aftermath of a divorce, one of the parties relocates to another state, either for a job, to be close to family or simply for a fresh start. If there are minor children involved, though, there can be limitations on moving, particularly for custodial parents. 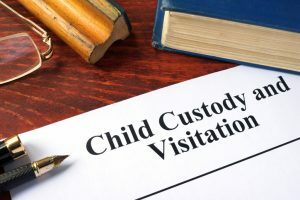 However, when both parents agree that living in different states is in the children’s best interests, the parties want to do everything possible to make the visitation arrangement work. One of the best ways to do that is to create an interstate parenting plan. It’s important to carefully craft the interstate visitation agreement so that you maximize your chances of success. You can’t expect the court to award joint physical custody—that’s not practical when the parents live in separate states. The court will look unfavorably on any proposed visitation that puts an undue or difficult burden on your children. A better arrangement typically involves travel by the non-custodial parent during the school year, with the possibility of visitation by the children to the home of the non-custodial parent during the summer and on school breaks.